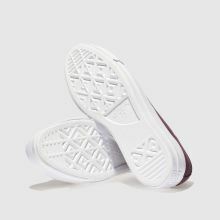 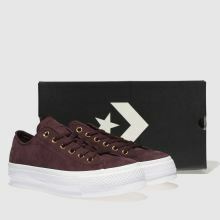 The Converse Ox Lift Platform Nubuck is sure to lift your style game this season. 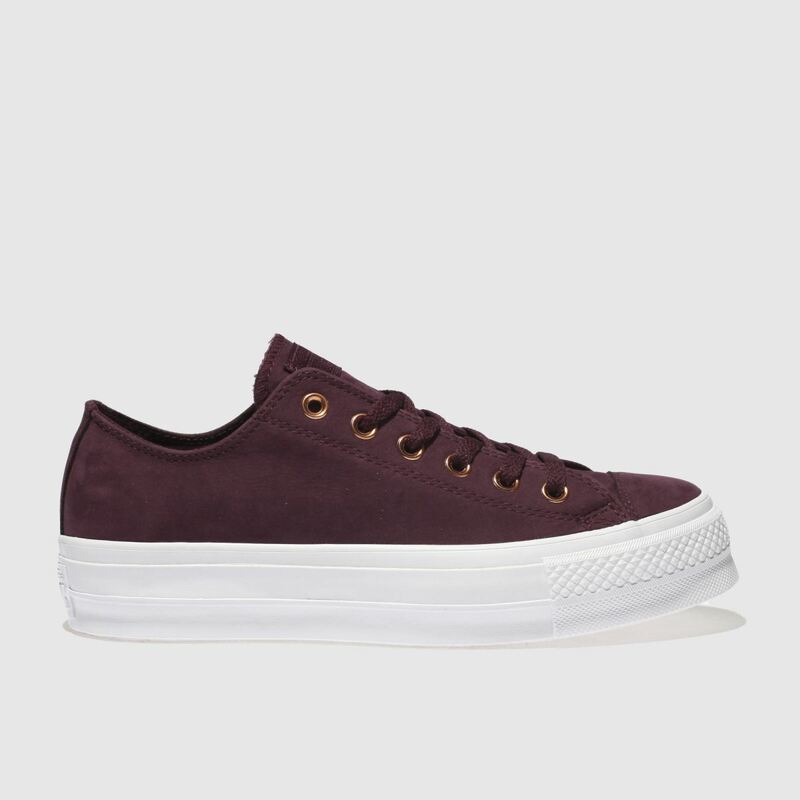 A rich burgundy nubuck upper sits on top of a chunky 3cm rubber platform sole for an edgy feel. 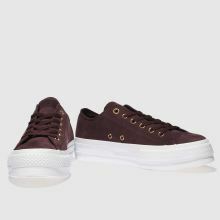 Rose gold eyelets and Converse branding offer a unique finish.